Oh no, I’ve caught myself playing in the kitchen to avoid my “to do” list again. 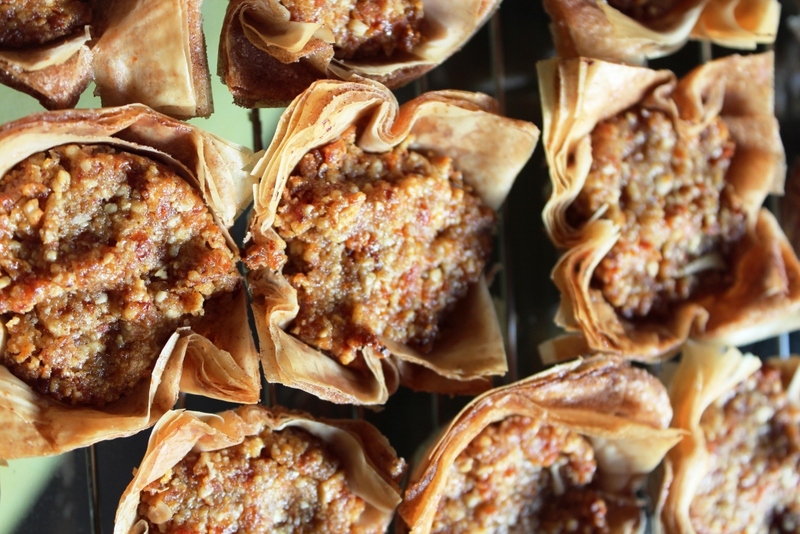 Saturday day: I baked up batch of apricot, walnut, orange phyllo tartlets. Mmm…smelling like Christmas, they’re difficult to resist. I had to limit my dinner to a 100-calorie bag of popcorn after a full day of sampling. Saturday evening, I cooked up lemon marmalade from Susan Feniger’s Street Food cookbook. 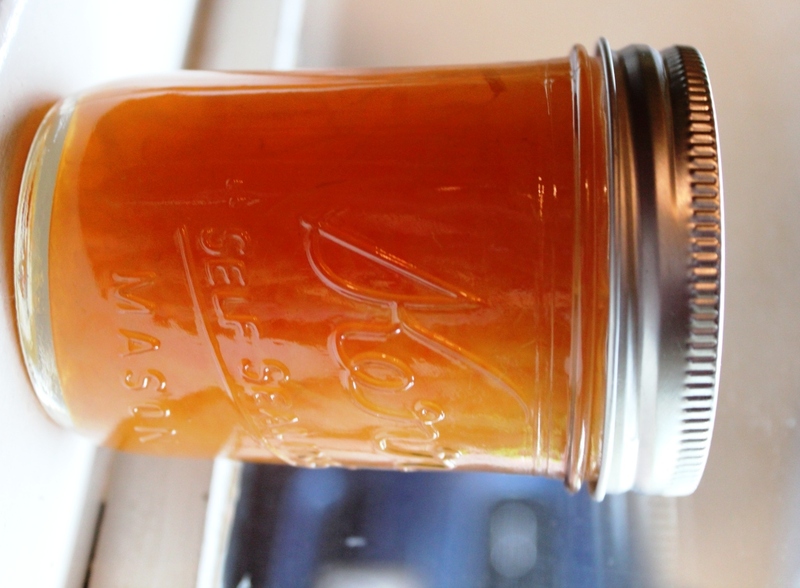 In 2011, after visiting her restaurant, II was smitten with her pucker-worthy marmalade that I found hidden under sour cream and Ukrainian dumplings and attempted my own version, which was lacking tartness and needed tweaking (it was my FIRST canning attempt). I bought her cookbook the other day and realized the marmalade recipe was included so I had to – just had to – try it. Check out that color. Finally, this morning, I couldn’t get my mind off the final roll of phyllo languishing in the freezer – my mind prodding me with “apple strudel, apple strudel”. 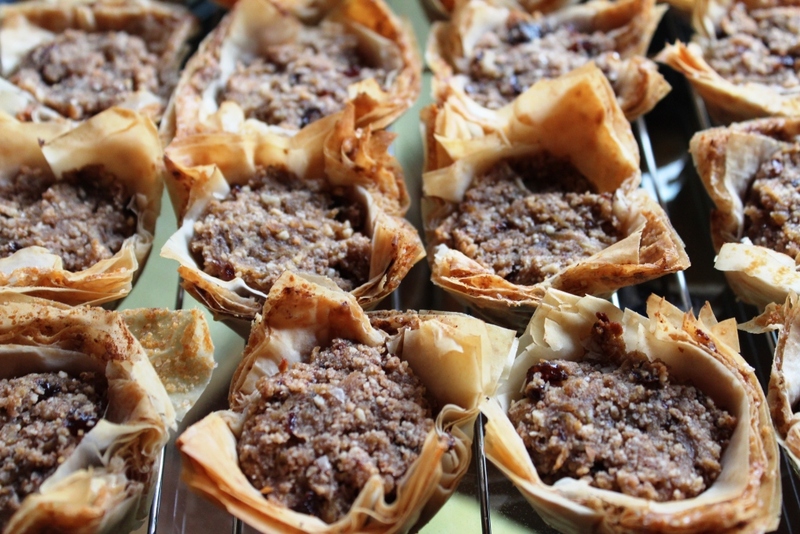 One last trip to the store for granny smiths and raisins and the result – walnut apple strudel tartlets. It is officially Sunday evening and I can pat myself on the back for successfully avoiding all projects scheduled this weekend. I can now walk into the office on Monday stressed over my lack of progress and my growing “to do” list. This entry was posted in Recipe and tagged apple strudel, apricot, cooking, food, food nerd, lemon marmalade, Life, marmalade recipe, orange tartlets, phyllo, popcorn dinner, procrastination, Recipe, Susan Feniger, tartlets, walnut, walnut apple strudel tartlets by Julie "Phoren" Seyler. Bookmark the permalink.